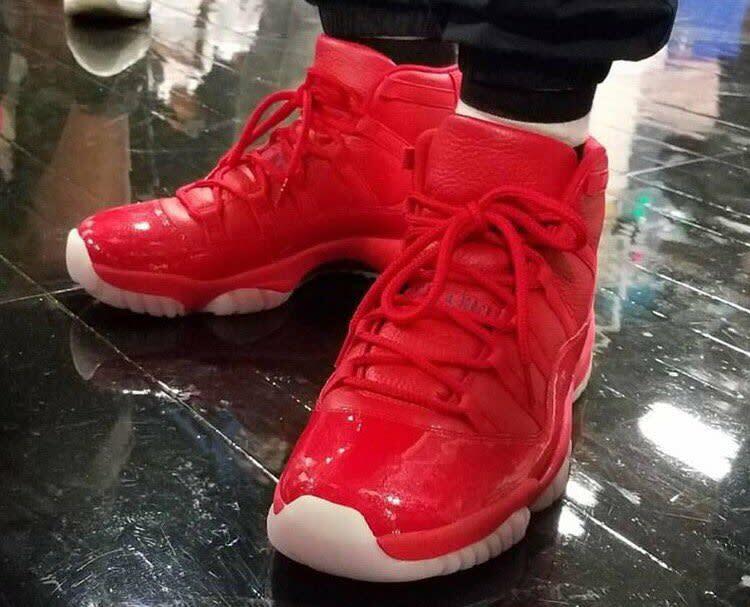 Clippers colors on CP3's Jordan 11 PE. No stranger to getting bloggers bloggin' with exclusive Air Jordan 11s, Chris Paul debuted another pair last night in Las Vegas. In town for this week's events and his AAU team's championship game, Paul broke out a never-before seen Clippers-themed Air Jordan 11 Player Exclusive. The mostly red pair, styled like last year's "72-10" release, is accented by blue logo and number hits on the heel. An all-red Air Jordan 11 feels inevitable, but it probably won't be Paul's pair. Hopefully more angles will pop up in the future.